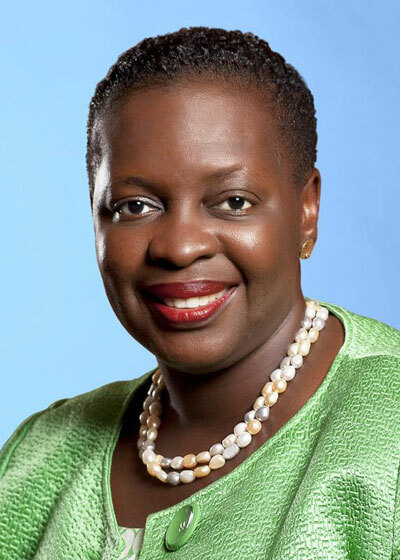 At 8pm this evening [Apr.21] Premier Paula Cox delivered a televised “national address,” in which she spoke about a number of issues including crime, the economy, tourism and more. Some points in her address included: Cabinet will consider legislation making gang membership an offence, there will be no cuts in Minister’s salaries, and initiatives are underway to help stimulate job creation. The Premier started off the speech by mentioning the four men who have been murdered so far in 2011, and expressed her commitment to stemming the rising crime. The Premier also spoke on broadening the scope of proceeds of crime laws, and considering incentives for those that turn in guns, an option recently brought forward by new National Security Minister Wayne Perinchief. “This in my view would be an empty gesture, inappropriate for a Government or for any team facing the prospect of having to do more with less, and having to do it in half the time, under double the pressure,” said Premier Cox. David Clarke … aged 26. Randy Robinson … 22. Jahmiko Leshore … 26. Colford Ferguson … aged 29. Do you recognise those names? You should. They are the names of murder victims … young men who have been gunned down on our streets this year. Hello … and thank you for joining me. I offer no apologies for starting off my first televised address to the people of Bermuda … since taking office as Premier … with a shocking list of our gun crime victims. I promise I will end on a less sombre note. But … as I reflected on the subjects and issues that I wanted to discuss today … as I thought about how important it was for this message to be perceived as a reality check … I concluded that anything short of a no-nonsense report on the real state of our nation would be an insult to you. Like you … I am shocked and saddened that our young men are being slaughtered at the rate … this year … of one a month. Like you … I am outraged at this senseless violence. I can only pray that their deaths were not in vain and that … in some way … these tragedies … and the pain and suffering they leave in their wake … will help bring about a realisation that Bermuda is in urgent need of help. In a moment … I will say more about the kind of help I believe is necessary. But first … let me state clearly … and for the record … that my two most critical concerns are the safety and financial health of our society. Not the next election. Not my personal standing in the approval polls. Not Ministerial salaries. Not any of a number of otherwise very worthy Government programmes … each one important in its own right. I was elected as Party Leader and then sworn in as Premier not because I was the only candidate with the ability to lead the Government. There are many of our Government MPs capable of doing that. I was elected as Party Leader because of my work ethic … my unswerving focus on integrity … and because I was considered the leader most likely to ensure that your Government delivers on its promises … and fixes the issues that matter most to the people of Bermuda. What are these? According to the latest independent Omnibus survey of Bermuda residents … the economy and crime rank as the top two most important issues. That means my sleeves … which were already rolled up six months ago when I became Premier … are still rolled up. It means that I must refuse to be distracted from the job in hand. Words … of course … are often regarded with a great deal of suspicion … but let me remind you … that it was my commitment to reinforcing public safety … my insistence on talking directly to the Commissioner of Police … that contributed to the departure of a valued Cabinet Minister recently. So let me stress … these are not just words. Crime is not just a word. It is a priority … for me and for my Cabinet and our Government … and I intend to see that we do everything in our power to combat it. What does that mean? It means that the full weight of the partnership between the Legislature and the Bermuda Police Service … will be brought to bear on a problem that threatens to undermine the spirit of Bermuda and Bermudians. It means that Cabinet will shortly consider legislation making gang membership an offence. It means that we will broaden the scope of proceeds of crime laws … and consider incentives to encourage information on the location and ownership of guns … be made available on a live … real-time basis. It means that our Inter-Agency Task Force will develop a cohesive approach to information sharing … to interventions … and to providing assistance to those at risk. I’m sure you must be asking : What does success look like? How do we measure our effectiveness? We have seen an increase in court cases and criminal conviction rates … which have risen significantly. But I have to say … that an increased conviction rate is only part of the solution. It must be accompanied by a reduction in the number of repeat offenders … and by clear evidence that our young people are making positive life choices. I will have more to say about programmes for our young people in just a moment. Last evening I spent a productive time talking to some of our young students from our senior schools and at the Bermuda College. It was important. I listened …and I hope it will be a continuing conversation. In terms of crime prevention … we have already stepped up our efforts. Additional CCTV cameras have been installed in high crime areas … a new X-ray scanner is being placed in Hamilton docks to help detect contraband … such as guns and drugs … hidden in containers. Another factor that has an indirect bearing on this subject … is that of Police pay and benefits. With the recent successful conclusion of long-running pay talks … the men and women of our Police Service have been able to put salary issues behind them. Perhaps as a combined result of these and other factors … not the least of which is the dedication and commitment of our police service … latest surveys indicate that residents are now significantly more confident in the ability of the Police to solve drug and gang-related crimes … than they were in 2008. More recently … I have appointed former Assistant Police Commissioner and House of Assembly Deputy Speaker … Wayne Perinchief …as the Minister of National Security and former Police Commissioner … Jonathan Smith as the Junior Minister. Two former Policemen dealing with issues and situations that they understand better than most of us. A moment ago I observed that Bermuda is in need of help. Not the kind we can purchase … such as CCTV or X-ray machines. The help I am referring to is help from within. It is up to us … as a nation … to do everything we can to assist the police … and other agencies … to help take back our community … not sit back and watch it perish. I promised you a no-nonsense report. But I also want to give you some hope for our economy. Not the false kind that comes from the spin doctors … but the solid kind that is founded on reality. It is still too early to talk confidently about a recovery … there are still too many variables … too many unknowns that could impact our economy. Energy prices … for example … are … as always … extremely volatile and unpredictable and could re-ignite inflation. Our construction sector remains weak … and unemployment is still in the region of at least 5%. Our Department of Labour and Training has been inundated with Bermudians looking for jobs. Job fairs have been oversubscribed to an extent previously unseen. How are we responding? There are several initiatives underway that will help stimulate job creation … and over the coming weeks you will see various press announcements covering these measures. By far the most innovative is a plan to re-allocate a portion of already budgeted funds in support of a programme to provide Bermudians with short-term employment opportunities. This would take the form of summer work for unemployed youth and for older unemployed persons. The aim is definitely work-fare … not welfare. This is an important distinction. The development of effective welfare-to-work services give our people the skills and confidence they need to secure a job and sustain employment. To be effective … this type of work-fare reform must be developed in a mutually supportive way … so that the right support is in place to address the barriers that people face along the pathway to employment. Part of the objective is to supplement summer employment for our students … and I think it is worth reminding everyone … that apprenticeships carry a zero rate of payroll tax. The programme will also aim to create jobs for the unemployed by generating small works projects … relative to government estates. Unemployed persons interested in these opportunities … will first need to register at the Department of Labour and Training offices. Also … as part of an outreach effort for this programme … the Government will be taking sign-up road shows out to the community and sporting clubs and working with the parish councils. This will reflect a joined-up partnership between relevant Ministries … Government Estates and Information Services … Public Works … Economy, Trade and Industry, Youth, Families, Sports and Community Development… and the Minister without Portfolio with responsibility for the National Youth Council. The programme also incorporates elements of the recommendations emanating from the Mincy report. On a smaller scale … we are also finalizing plans for a four to six month horticultural training and certification programme … soon to be introduced by the Ministry of Public Works … with the aim of training a small number of locals each year. The intention here is that these individuals would take over the horticultural maintenance of our railway trails. All the initiatives I have just mentioned are designed to bring immediate … partial … relief to our unemployment situation … and are expected to come into operation within the next few weeks. On the tourism side of our economy … I am pleased to say that there are distinct signs of improvement in our visitor industry. According to statistics issued just a few days ago … winter air arrivals increased this year for the first time since 2008. Latest figures indicate that almost 31,000 visitors flew here during the first three months of the year … an increase of approximately 7% over the same period last year. The new daily AirTran service out of Baltimore … with Atlanta soon to be added … also came as an added boost to our visitor industry. Other tourism developments are helping to bring a more optimistic mood to the industry. Tucker’s Point Hotel was officially re-named Rosewood Tucker’s Point … formally linking the resort to the international luxury hotel brand. And I should add that Morgan’s Point developers will be looking to start work on their top class $2 billion resort. I said that construction remains weak … but the building sector has been really active during the first quarter. Four major projects were commenced … three of them as a result of Government support. By far the biggest was the new hospital … but we have also seen work start on the National Aquatics Centre swimming pool and facility buildings … the Waterloo House harbourside development on Pitts Bay Road in Hamilton … and the new WEDCO housing project. Our hope is that we can turn what could be the start of an economic recovery … into a jobs recovery. Meanwhile … international business remains strong. This is the largest driver of our economy … especially the insurance and reinsurance sector which has an asset base of $496 billion. Tragic catastrophes … such as the earthquake and tsunami in Japan … the earthquakes in New Zealand and Chile … storms in Europe and floods in Australia … have all served to underline the global importance of the Bermuda risk industry. To give you an idea of this importance … just this week … the industry announced that it would be paying out more than half of the claims arising out of the New Zealand earthquake. This industry is not only critical to those who buy high-quality financial protection … it is also vital to Bermuda … directly and indirectly generating thousands of jobs for our economy. As a result we are formulating policies to provide real incentives to those job-makers in our international business sector who provide real opportunities for Bermudians in their companies. Business Bermuda … the professional services organization which works closely with Government to promote the wider interests of the international business industry … has also been very active recently. It conducted well attended financial services briefings in London … Singapore and Hong Kong this month … showcasing Bermuda’s legal … banking … financial and investment capabilities … while demonstrating the strong public/private sector partnership that exists in our jurisdiction. Additionally … the Bermuda Stock Exchange this month announced that its listings of insurance linked securities reached a record $1.8 billion … a strong performance for what is still a relatively new category of listings. I said earlier that I wanted to give you grounds for real hope … and I would like to expand on that now. While it is true that much remains to be done … your Government has not been dragging its feet. When I became Premier … I undertook a huge task … the biggest reorganisation of Ministries in the last 30 years. For the first time … our focus was to encourage synergies between the Ministries … rather than accepting business as usual. This raised a major challenge to the way people and processes had been operating. But to achieve better service delivery … there was no doubt in my mind that we needed to re-configure our Ministries. Within a month of becoming Premier … a team from the UK’s National School of Government arrived to begin work on a review of our civil service. One of its main findings was that while Bermuda is fortunate to have so many committed … capable … and hardworking public servants … we needed to raise our game. Changes were recommended in the areas of management … structure and culture. Equally … I was never in any doubt about the need to improve our effectiveness in the design … tendering … purchasing and control of Government projects. Accordingly … we set about establishing an Office of Project Management and Procurement within the Ministry of Finance. Your Government intends to build both capacity and capabilities in the area of procurement and project management best practice. At the same time … we will focus on providing transparency and value for money. These plans are moving forward and I hope to be able to announce the formal establishment of this function before the end of May. As I made clear in my National Budget Statement … this is an important department … one that will require the creation of two new posts … a Director of Procurement and a Senior Compliance Officer. Additionally … as part of an improved governance and financial accountability programme … the Government intends to give legislative teeth to its internal audit and procurement functions. In short … your Government intends to demonstrate that it has zero tolerance for infractions and malfeasance. In terms of promises made and promises kept … I am particularly happy to report that consultant contracts … which came in for considerable criticism in the run up to the budget … are now being reviewed for new post and temporary positions by a new staffing review committee. This was formed to objectively assess the continuing manning needs of the Government. Also … in the area of open budgeting … we have begun work on another promise … namely … securing greater public involvement in national budgeting and spending decisions. More on that in my next update. Indeed … public involvement and transparency have already become distinctive hallmarks of my Premiership. In order to generate the widest possible level of debate on the National Budget … Cabinet Ministers and I conducted three … town hall style meetings at which the public were able to express their views on the Government’s planned schedule of spending and revenue for the 2011/12 fiscal year. I am sure that you do not need me to tell you that these are difficult and challenging times … possibly more difficult and more challenging than any we’ve experienced in recent memory. This may not be of any consolation to you … but I want you to know that I do understand the pain that some of you must be feeling as you struggle to find employment. While I cannot stand in your shoes … I sense the deep hurt that many of you endured when you were made redundant. It is often said that hard times bring out the best in us. While that may be so … losing a job is not only about losing a pay cheque … though that alone is a big enough setback. It is also about losing a sense of worth and validation. Let me emphasize … the fact that you are unemployed does not mean that you are less worthy. We are defined not by what we do … but by who we are. Recession or not … employed or not … the people of Bermuda … the workers of Bermuda … are tremendously talented and creative. For those who have been diligently seeking work … I would encourage you not to lose hope. If you can … I suggest that you use the time that you are not working to acquire new skills … or refine existing ones … and … whatever else you do … be sure to register with the Dept of Labour and Training. My fellow Bermudians and residents … from my perspective … the past six months have been challenging … to say the least. Assuming the office of Premier … almost on the eve of the National Budget statement … may not have been the smartest or safest strategy to adopt for an incoming Government leader … but it certainly pitched me in at the deep end … which … in turn … shortened the time it took for me to learn how to swim. That doesn’t mean my stroke is perfect. It isn’t … and I would be the first to admit that it is a work in process. But with each day that goes by … it gets a little better. And … with each day that goes by … I learn to appreciate a different aspect or nuance of my job. I have also learned to appreciate the devotion … skill and professionalism of many of those I am privileged to call my colleagues. Many of them are tireless workers … on call 24 hours a day … 7 days a week … with no overtime … double time … or in some cases … not even a proper salary. There are … of course … the inevitable frustrations. In this regard I must admit that it is in my nature to want to move things along a tad more quickly than they want to be moved. Let me apologise here and now to those I have bullied or cajoled in my eagerness to expedite a plan or project. Do I wish my approval ratings were higher? Yes … of course I do. But the reality is that the honeymoon period is over. As I have remarked before … leadership is not for the faint hearted. By definition … popularity contests tend to be won by popular people. Leaders … by comparison … cannot rely on the luxury … and the political capital … of remaining popular forever. It takes grit and character to resist the temptation to indulge the politics of appeasement … and to say … there will be no symbolic cuts in Ministers’ salaries. This … in my view … would be an empty gesture … inappropriate for a Government … or for any team … facing the prospect of having to do more with less … and having to do it in half the time … under double the pressure. -I have tried to give you a sense of my first six months in one of the toughest jobs I have ever had. I have also tried to give you my take on where Bermuda has been … where it is now … and where I think we’re going. That doesn’t mean I have all the answers. In fact … the suggestion boxes we have started have been filling up with ideas from inside and outside the Government … and … if you haven’t already done so … I invite you to take part in the process. In giving you a practical explanation of the Government’s various challenges … programmes and activities … I have also attempted to dispel some of the myths and speculation that often surround the work of those engaged in public service. There is no doubt in my mind that there are some who have not thanked me for making the decisions I felt I had to make. That’s just the way it has to be. I will continue to do my job … without fear or favour. I sleep well at night knowing that what I do … I do in order to help Bermuda and Bermudians. That is my single minded focus … given my responsibility as the Premier of Bermuda. I would like to thank you for joining me … and I want to leave you with a closing observation. I talked earlier about the importance of having grounds for hope … and about the difference between false hope and the real kind. Let me finish by telling you about another kind of hope … the living kind … epitomized and modeled by the Bermudian people. I spent time recently at the Belco Visitor Industry Partnership Excellence Awards. What a powerful tonic that was! I thoroughly recommend listening to people who love what they do … and who do what they love. Their enthusiasm … their rock solid belief in the future … is as therapeutic as it is infectious. So … if you’re having a tough day … if you’re feeling that your hope is fast turning into hopelessness … and that there’s no solution to gun crime and the recession … try talking to Fairmont Hamilton hotel doorman Carvel van Putten. This gentleman … who won the top prize at the VIP Awards … gets immense satisfaction out of nothing more than doing his job. For him … there is no greater joy … nothing more pleasing than the fulfillment he gets from telling our visitors about his precious island home. There is also no question about this man’s hope for the future of Bermuda. And he is not alone. There were 54 nominees and18 prize winners in 18 different categories at the VIP Awards. All of them full of hope … all absolutely wonderful ambassadors for their industry … their employer … and for Bermuda. Maybe Bermuda really is another world after all. I wish you … and your families … peace … serenity … and a blessed holiday. You were elected cuz of your work ethic?? You were suppose to be the gatekeeper to our public purse, and you decided to be a cog in the wheel and allow it to be ransacked. You madame Premier should be ashamed. @Tru Dat Hey who are you????? I’ve used Tru Dat numerous times…but I’m more than happy to drop it. I can see how such a pen-name can be duplicated. The first six months following 12 wasted years, of which she was a pivotal point as Minister of Finance for seven. What an admission of total failure, not just personally but on behalf of the Cabinet, most of whom were equally collectively responsible. Divide the Island, make it clear that the PLP is only interested in a certain part and forget the rest. Party with Beyonce and now cut the benefits. If she had any conscience she and the entire Cabinet would resign in shame. There’s flooding on the bilge area……Pass the Easter Lillies…..or my Lord…..someone turn off the coolant to the engines……Where the hell is “Milky” when we need hyme…..Creme of the crop……Where is John Swan, Kim Swan, …….Hong Kong ……. Swan songs…..the irony of it all. Hell…lets go “GREEN”…legalise, materialise, pasturise, ……how many ‘ise’ have we……..
You are one sick puppy, who needs professional help. You go girl! Spin that BS like a good Cog. She learned from the best spin doctor…ans all she is doing is what doc Brown did…Bull #$%^&* we lot. All of that just to say that the politician wont be taking a pay cut. and to end your speech with what a doorman at the Princess says………. this leader neede to resign . I was hoping for some sort of hope for this Island…but she made me more depressed. Paula PLEASE resign…. you must know by now you can not run this Island…. More speed bumps more like…………. She is a woman and gave a heartfelt commentary on how she feels about the untimely and unnecessary murders of young Bermudian and foreign males . For that I applaud her .Don’t know if she is a mother or not , however , I feel that she is serious about ending the carnage. I absolutely agree with her and support her vision ,this crisis usurpes all other recoverable problems we are facing ,we simply cannot bring these deceased persons back and we need to insure that no-one else is murdered on this Island . Uuuhhm hello? Did you listen through all of the report or switch on and off at a certain time? There was a lot more than just the murders. Why does it matter to you that I focused on a paticular issue that I believe must , at ,this time take precedence over others . I like most concious people am deeply disturbed by these MURDERS . I mean what else compares to the right to live . Money ? Come on Money and the state of this economy surely must pale in comparison to your life and your pursuit of happiness , even you can agree to the safety of you and your loved ones . I’m sure there are others who are far more qualified than me to speak on the myraid of issues causing discomfort in our community. I think you are more qualified that any number of these contributors. You know how to spell and construct a complete sentence. than any number of these contributors. Here are the main reasons in my mind that have put Bermuda and it’s people in this Economic and Social disaster: Unethical behavior, cost overruns, mismanagement, Burch, and Brown. The last two individuals had a devastating impact on our IB and Private sector. Let’s face it, it was another speech which will be followed by no action. Over a year ago we had Brown and Burch telling us they were getting crime under control. Yeah, right. They don’t have the political will. They don’t have any idea how to attack crime, and they have no money to do it either. They have bankrupted the country and now, when we need resources for serious problems, we don’t have them. Sheer complete unadulterated incompetence. The state of the economy and instability of the country is what’s important, the murders are just symptoms of that. We have major problems on the island that are just symptoms of more smaller problems on the island, you fix those smaller problems and the big problems fix themselves. Bermuda has turned into one big disaster..but yayyy, we are gettin more and more and more HOTELS…just for them to be empty too…wait for all the tourists to stop coming and the exempt companies to leave..we won’t be left to much, the buses and ferries can’t even run. I think we could get some primary school kids to run the island better then these Politicians. you couldnt have said it better!!!! Was I supposed to feel hopeful and inspired after listening to that?????????????? I still not can believe this leader of Bermuda ! !said what she said tonight…. Premier. please go and take some time out for your son and your husband…we do not need you as our premier….we have had enough of you and BROWN …. “E.Brown” Came In & Took Revenge On Us!!! We Need To Wake Up!!! This is not the same island we lived on!! We need control on immigration. All these guys coming in wit Guns and distributing dem like its whole sale. The police dont give a damn, they want em all kill each other. There not from Bermuda so they dont care! You get charged for a petty crime in Bermuda, they wanna keep you stuck on 20sq miles for up to 10 yrs + then wonder why these young men go crazy!!! The problem is deeply rooted!!! Gvt all over this world are giving the same speech… BERMUDA? RECESSION??? WHAT????? LETS BE SERIOUS HERE FOLKS. THERE LYING TO US? JUST LIKE THEY LIE TO THE AMERICANS ABOUT THERE NATION WICH WAS BUILT OFF OF DEVIL WORSHIPERS/ CROOKS/ THEIVES/ AND FREE MASONS. WE JUST HAD A EARTH QUAKE PEOPLE!!!!!!!!!!! THE USA GVT/UNITED NATIONS CONTROL THE WEATHER… THEY HAVE BEEN PLAYING WITH IT FOR YEARS…MOST RECENT NEW ORLEANS…HAITI….JAPAN. excuse me but?? THE WHOLE WORLD IS IN A RECESSION !!!! THERE IS VERY LITTLE THE UBP WOULD HAVE AVOIDED A WORLD ISSUE. ridiculous !!! All in all, i think they should have took a damn pay cut !!! How is it then that the rest of the world is growing again and Bermuda is still deep in recession? Jason, really, would any government have spent the last 12 years robbing us blind and leaving us $1.2bn in debt? And why the caps? Are you supposed to be shouting? Boy! Is it me or does anyone not remember Premier Ewart Brown. Isn’t Premier Cox the fall guy, or the fall gal. How smart is she to tell the whole country and world for that matter that she was only a cog. Do you accept that? Remember this lady speaks on the world stage and her speech is very Presidential and flawless. Was she really a cog? No, but she is really a Premier. Her speech is not ‘presidential and flawless’. She speaks like she has swallowed a dictionary. She strings together whole paragraphs of meaningless cliches. It’s a lot of drivel about reseting the dials, rolling up sleeves, start of an economic recovery, several initiatives underway which will be announced soon, hallmarks of my premiership, blah blah. She is not a good communicator at all. And by the way, Cox has been finance minister for years. She did not just get the job and fall into problems created by a previous incumbent. She pretends it’s all new, but she was 2nd in charge of the country while we got into this mess. She isn’t the ‘fall guy’. She got us into this along with all the other clowns. what a joke! no mention of pay cuts for cabinet ministers…..not enough said about all the questions everybody is asking…..all smoke and mirrors…..still. she should be addressing her cabinet and government employee’s that don’t do there jobs and waste tax payers money. Addressing Works and Engineering on all the waste/incompatence starting at the top. Older guys in these organizations need to be fired! Not addressing me, the poor guy, that lost my job because the government of Bermuda scared everybody away with their clever words to their not so clever subjects. They should not be taking credit neither, for the few people that have decided to go ahead with their building projects despite the current STOP. These people are the REAL hero’s of Bermuda, they are putting their mouths behind their money….not vice versa. They are making Bermuda what they also envision, Not, I repeat, NOT what the Government of Bermuda envisions. Big difference there. Do we really know what the governments vision for the future of Bermuda is? Can we see an investment in sustainable energies anytime soon? Will their rate of pay keep going up with inflation like all other goverment workers, and mine stay the same? Does this, again, mean they are in the business of taking the small business away from the small business owners? I don’t think town hall meetings do the trick. Even though it was them that put you into power, and it is their idea’s that you listen to so closely. They are also the problem in this micro economy. They all go away to Vegas. They all have a few drinks. They ALL smoke a spliff from time to time. They all swear. Yet for some reason their community is being wrecked by a few young black kids shooting themselve up? I don’t think so, these kids are Their children, Their cousin, Our cousin. Your right about one thing for sure….Bermuda is another world……….But What! maybe you should have said Bermudians are in ANOTHER WORLD!!! You cannot fire incompetence, they are PROTECTED. They also make group decisions that affects our livelihood. Just saw the pictures on bernews regarding Frizwells hill graffiti…..l am wondering if these stupid words wrote on someone front yard were known to her before she started her speech? Surely she wouldn’t be making martyers of these guys, would she? “You made me rich, boss” What a joke! Listen up guys. Um takin on waer. The ship is on fire and my damn fidle needs tuning. Good Friday and they still put out hot air………………………………. What will the unions do now? No MP Pay cuts is rediculous – definately do as I say not as I do !!! They fail to realise that they work for us. It is time for PLP to be voted out! They do not care about the unemployed Bermudians who can’t pay their rent or mortgage. Government saw where Bermuda’s economy was heading years ago and yet they continued to spend and waste the people’s money! She needs to resign! They all need to go, I have had enough! Tonights speech by the Premier did nothing to restore my confidence and hope in this nation. All talk and no action once again as it pertains to actively engaging in trying to combat the violence and murders on the island. Customs needs to step up their surveillance techniques at the airport as well not only on the docks. I don’t see or hear of any cases where the government and the govenor are collaborating to tackle this problem. I though that the police were given the legal right to search homes – if this is the case why aren’t we hearing of stories where they going into the homes of these ‘gang members’ in search of illegal activities. The police know for the most part who’s involved with these activities. I really want to see gov’t make a concerted effort to work with additional law enforcement agencies (namely british officers – for legal reasons) to enhance the skills of the BPS and to come to Bermuda and really seriously tackle this problem. As far as the Economy is concerned – Paula you should be ashamed of yourself. You have been in charge of managing the Financing of this Government for quite some time. So shame on you for saying that your transition into governing was at a bad time. In Finance and Econ 101 you would have learned that during hard economic times governments should introduce measures to promote spending – whice during the final budget during E. Brown’s Premiership you raised taxes dimininshing the disposable income of the nation. Lead by example PLP I am losing more and more faith in the future of this country under your leadership. As Gov’t Ministers of this country You all should be willing to do more with less and be an example to this nation by willing taking a pay cut. You as a govt are doing a terrible job particularly in these two areas. Show some integrity in your leadership and governance. The Bermudian people are tired of the BS !!! Shape up and tackle the issues of the people instead of trying to fill your pockets. How the heck and for how long can you expect the people of this country to put up and shut up while ya’ll point your fingers and expect us to do more with less while ya’ll sittin pretty collecting pay checks curteousy of our taxes. We need accountability in governance !!!!! And they will be voted in again! Get use to it. Isn’t this what we the Bermudians wanted? A PLP Government! Well sometimes you get what you wish for! I totally agree with you! People can come on here and say whatever they want. PLP will be voted in over and over, 1. Because there is no viable option. 2. People in Bermuda still vote along racial lines. There are too many Bermudians still alive who remembers a pre-PLP government and what they believed the UBP stood for. We wont have true democracy for another 30yrs when all those who only remember what the “whites” did to them, are past on. You said it!!! Very true!!!! Damn I wish ppl would stop saying this .. I haven’t got rocks for brains and neither do a lot of others. All this is alluding to is that ppl who say this are too ignorant to admit that they would ever, ever NOT vote of the PLP. The alternative is ANYONE other than what we have now .If they are as bad as the PLP is (and it will indeed be evident within 4 years like it was after 1998) then we REPLACE them ! Get it ? Got it ? Good ! Saying there’s ‘no viable alternative’ is as stupid and dumb as refusing to leave your abusive , beating , cheating, drug addicted husband and move into your mother’s house for a better life because she’s only got a one bedroom and your husband has a 3 bedroom house. That’s right! The PLP have had enough time. It’s not about a black party or a white party anymore, it’s about us. We need to vote on track records now. Parties are now both integrated. It’s about accountability now. We were supposed to have a comfortable and delicate balance of IB and tourism in this country. Nobody want hords and hords of tourists day in and day out all over the place. Take care of what we have. Instead this government got greedy, now we almost have neither, And now the public are digging deep to compensate. CHANGE THEM! I don’t doubt the Premier’s sincerity but her text, punctuated throughout with the word, “I” hammer home the notion that she must be feeling the pressure of working without a Cabinet for she hardly mentions it by name. We’re all to blame because in the name of Party we’ve accumulated a host of well paid but poorly educated, under performing so called representatives who don’t have a clue. They sell us on photo ops like our minister trying out wheelchairs recently in the newspaper. Now that’s PR he’s mastered with lessons from the Premier he takes his orders from and his name is not Cox. Reading the text is troubling in that the Premier spent too much time polishing her dulled patina. It need not have been about how or why she was elected- she is now the leader of the country and has little to draw upon in terms of depth among her colleagues. I am disappointed that she felt the need to explain publicly what happened to Burch. He tendered his resignation and that should have been the end of it but it appears she really needs him. He should have been fired ages ago for his antics but alas things can only get worse because our expectations are so low. We have tolerated arrogant and dismissive behavior and are likely to get even more if we don’t spend more time getting to know the people who would wish to lead. The lot of the incumbents and more will be lining up for the next general election and a place on the gravy train if we’re not careful. The Deputy Premier has shown us all that it’s possible to rise to the top in government without an education, without intellect and without the ability to operate independently anywhere thinking people are gathered. With the most vitriolic and divisive wind beneath his wings both have floated to the top. She’s a Senator and he’s our next Premier should things not go as planned. If that doesn’t scare you, it should. He has been stripped of most responsibilities in his ministry but the Premier won’t fire him. Does anyone remember the improprieties he was accused of before the last election? I agree that minister’s salaries should not be cut. We elected them and we must suffer the consequences of funding the least impressive Cabinet in many years. We can’t have it both ways. We got what we negotiated with our votes and I believe it should be a lesson we must learn to live with. I’ll end with my view that union serves a valuable purpose but not when it defends ignorance and bad judgment and that is something the membership will have to grapple with. Premier, rise or fall on firm decisions and not be held ransom by the unions at every turn. The drunk captain who crashed into a dock with passengers on board was not on your watch but he should have been fired. You however should never have allowed the union to dictate to the extent that you overruled your own minister, one of the few thinking ones, to uphold irresponsible behavior on the part of one bus driver that brought the country to a halt. It set a bad precedent and was against the better judgment of most Bermudians and look what it got you and the government. Will the tail be wagging the dog come Tuesday when they come to call? We’re in need of clear standards and hard calls that will guide a new workforce. Maybe that will signify that a ‘new Bermuda’ is emerging because the old way is not sustainable for this generation of young adults who the education system has failed. You are the ONLY person making any sense. You are absolutely right. d. davies hit the nail on the head with what he’s just stated! But what about the ones that didnt vote some of these ministers in? We have to suffer the consequences which is sad. The clear forward thinking voters have to pay for some voters that aren’t otherwise mature enough to make the right choices in who we as Bermuda elect. Sad times we’re living in. Back in the 60s,70s, and 80s Black Bermudians fought hard to revolutionize BDA in a positive and enlightening way. Everything black bermudians fought hard for is like its gone down the drain and we’ve taken many steps back instead of forward. As a young black bermudian Im very saddened and appalled by everything thats happening in my home many call paradise. I pray that we can just unite and be equal, fair and just. It shouldn’t be about revenge and blk and white and this and that. In the end we are all humans that only come in many beautiful shades of colours. If everyone worked together whether black or white pink or purple this place would be so much better. We are once again divided but now its worse. Brothers killing brothers! The rich and the poor. The old and the young! Thats not what our grandparents fought for!!!! Lets wake up! This is the most articulate and well thought post I have read on this medium for a long time. Whoever you are, you obviously have a lot to offer. It is time for people like you to step forward. I agree wholeheartedly, that Bermuda Inc is far beyond the capabilities of this Cabinet. We urgently need intelligent, and educated persons who can perform on a world stage – indeed have had some exposure to a global stage – to keep us afloat. She does not need Burch. She was just reaching out to his few supporters. She knew he was a liability and I am sure she was just waiting for the right time to drop the bomb. Now he is gone maybe she can think with clear head without having to watch her back. Paula is talking a whole lotta ying yang bi!!!!! just rambling on and on!!!! All the Premier does is talk about performance and integrity. talk. MPs expenses issue toppled the last UK Labour Government and in the throws of hardship she refuses to cut their salaries. When she is voted out internally or nationally, I really hope that she and her followers take pause and check their arrogance in a suitcase to Alaska, before getting on with their personal and professional lives. Her address was a waste of time, perhaps prompted by internal pressures about her lack of Leadership, as the Nation hasn’t had a Leader since Brown, love him or hate him. Premier Cox is a skilled Administrator, most lawyers are. Ya get what you voted for….a whole bunch of people with grade school education. You can’t run a country with a minuimum amount of horsepower. These people who think they are brian surgeons like to tack on to their names OBE, JP,MP, which is meaningless. Did she really call MP pay cuts an empty gesture?! Doesn’t she understand that nothing speaks louder than symbols that indicate that, “we stand with you!” Doesn’t she understand the term “one for all and all for one?” Nothing brings more solidarity within a company than when the CEO is the 1st one in line to take a pay cut along with his employees! Did she really say, “facing the prospect of having to do more with less … and having to do it in half the time … under double the pressure”…..isn’t that the point that we Bermudians are trying to make to this government as to what WE have been going through?! I don’t trust any of these politicians in ANY of these parties! If you were Premier tomorrow what would u do? 2) Fill the Cabinet with educated, proven, private sector leaders who know how to run businesses. No disrespect to Annie Young or Carvel Van Putten, but people who run the engine that runs Bermuda Inc today. Internationally calibred people, who understand catastrophe risk bonds she talked about last night when referring to the BSX (90% of those who watched dont have a clue what these are or their significance to the BSX!). 6) Reduce the civil service by 30% – yes, there will be social implications but these will be less than the cost of maintenance at current levels. 50% of those that need to be cut are overpaid and would not be able to attain a like job in the private sector. 7) Make serious amendments to the tax structure so we capture more of the wealth that is created on this island. eg. why dont we tax the partnership dividends for partners in firms like Appleby or Ernst and Young? They pay payroll tax on a relatively small salary and pay nothing on the $1M plus partnership dividend they receive annually! Makes no sense. 8) Take some steps back in education – move back to parochial principal led schools removing the breeding grounds for “gangs” . Re-establish fully academic structures as yes, there will be hi-flyers that need to be pushed and challenged. While offering equal opportunity to all is “nice” – the watered down or dumbed down curriculum produces students of mediocrity not those we need to lead this country forward. 9) Socially – I think the social remedies required are so much more difficult…re-instituting father dominated homes, women who prize education and self respect more than a $700 bb or the value of their monthly support check! Call and election. Bermuda Inc cannot be led by “labour” anymore. We have moved beyond that. PLP must re-invent itself if it is to successfully lead this country. She is trying to turn the ship around. She got rid of Burch didn’t she? But did she get rid o Burch ? or will she hire him for another gov post ? The INCUMBENTS IN ALL 3 Parties dislike talented professionals who are independently successful, or relevant in IB. Come on, why would they embrace us? We would bring about the end of the gravy train for them. As I type there are 5 people I can think of who could run Ministry of Finance on a 3 hours a day basis and achieve more than Premier Cox, since I do not have their permission to put their names out there I will mention their organizations – KPMG, XL, Attride Stirling W, ACE, Marsh. But no, they are busy managing real organisations not the pretend work of public sector governance. Why do we Bermudians accept so little from our elected representatives? Talk is cheap. The only thing you jokers have to offer is criticism. Damn if she do and damn if she doesn’t. People were saying she doesn’t talk to the people.she came on tv to explain government’s position and you still complain. I guess you want the ubp back in power. Dont hold your breath.they are the ones who instituted high prices, the housing situation etc. She wasn’t talking to me, she was talking at me, and left me feeling even less hopeful. Has nothing to do with wanting UBP back in power. IMO a symbolic pay cut would have given civil servants and the country a message that the Ministers are saying “we understand your struggle and we are in this together”. It would not have been an empty gesture, it would have helped the psyche of the country to give the impression that they understand the hardships many Bermudians are going through. Many of the working class electorate who voted PLP. I guarantee if she stated a ministerial pay cut or a certain percentage of a Minister salary i.e 10% goes towards a charity they reduced from their budget it would speak volumes. Its called good politics. The LCCA could use the funds that the Ministers are quite willing and happy to contribute. Spikes, yeah they’re doing great. Hopefully you don’t end up unemployed, shot, mugged, broken into, ill, bankrupt, related to a shot person, drug addicted, thrown out of work. When thAT happens you’ll have something to thank the PLP for. That speech was a complete bunch of bs!!!!!!! The PLP better not set foot on my property…..
Hey Spikes…..We are not pro-anybody(UBP/PLP/BDA/BS) The topic here is the Premier and her useless Cabinet. They look like arrogant fools to the rest of the world everytime they open their mouths(white or black/young or old) This is a bunch of B###sh%$! You need to wake up kid and stop believing that because they are black they are going to take care of you. They are human, just like the UBP was…….meaning that they will take care of their own/nepotism. You, Me and all the rest are doomed unless the people leading this country start leading by example…………. It is way past time for Cox & the rest of the Brown era regime to do the honourable thing & RESIGN. It won’t happen. Honourable action has not been one of the PLPs strong suits/hats. The other problem is that the PLP talent pool, although very wide, is extremely shallow. About the depth of the toddlers section. This latest ‘infomercial’ is nothing more than pablum for the flock who will lap up anything given to them. The police are stretched to the limit and have had their budget cut. Can I please ask what the physical purpose of the army is in this country? Why can’t we get them on to the streets to clear out the ‘mess’? I don’t even have the heart to pick holes in this any more. This government is killing my hope for ~a better tomorrow~ and they won’t listen to anyone. Liar says I see where your head is. I didn’t write a word about black or white. I said that you want the UBP back and I said it would never happen. Make some useful suggestions instead of complaining. Where you in Bermuda when the UBP was making mistakes. You folks never said a whispering word. I guess they were perfect. Concidering the facts that Bermuda is now in the wroste decline it has ever been in under the PLP yes the UBP was better at Governing the country face it. Crime is now in the highest state it has ever been in, more people are jobless and are trying to make ends meat any way they can. I guess things must be good for you maybe we should find you and rob you then. its about black and white don’t bs yourself cause you can’t bs me dude. Why is this, and everything else about black & white? PLP has screwed up and is robbing us blind. I don’t care if they are pink or green – they are nothing more than con artists and thieves. Spikes. I was in Bermuda when the UBP were in power. When you talk about the UBPO ‘mistakes’, do you mean the full employment that Bermuda had then? Or was it having a tourism industry that supported about 30 hotels more than there are now? Or do you mean their ‘mistake’ of consistently balancing the budget? Or how about having a crime rate that involved use of guns about once every 5 years, rather than the once or twice a day we have now. Are they the ‘mistakes’ the UBP made? Or was it the ability to have enough money to fill the fuel tanks in the ferries? And pay the bus drivers? Were they the ‘mistakes’ they made? Or, was it the common sense not to get the country into $1.2bn in debt over a five year period? Was it having the sense not to overspend while times were good? Were they the ‘mistakes’ they made? Or was it the ‘mistake’ of running the country so that black and white people generally got along, rather than the constant government-encouraged bickering that has divided the country the past 12 years? Let us know which of these ‘mistakes’ are the ones you have in mind. Spikes…i’ve been thinking the same thing…. If PLP is the only solution based on the majority Black vote in Bermuda, please tell me that there is a group of your Blacks & Whites who can go sign up and get ride of 95% of the useless, unqualified, incompetent PLP MPs who’s only claim to fame is that they knew Lois Brown or Freddy Wade. They didnt even have real jobs before politics and Nov 1998, only you (Paula Cox) had a real job, hopefully if you want to hold on to power as you resigned your private sector $000k job you will go out and seek the brightest and best for your next snap election – Keep the excessive pay – just give Bermuda competent MPs, the current crop are outdated, unqualified, react with arrogance on every issue due to their lack of depth as they view every comment as a personal criticism for some reason. Come on Hon Paula, you are an educated McGill Alumni, get rid of the dead weight around you, force them to stand down and replace them with Bright Bermudians, show us some testicular fortitude, show us that its not business as usual, show us that you are not a cog in the wheel, show us that although you dont trust anybody you are a skilled CEO who knows the benefits of having the best team on the political field – your MPs are dead weight, how can a retired policeman, now a taxi driver manage National Security? Come on Paula, get rid of them. We will support your choices if they make sense, but so far all you have done is TALK, and shuffle things around, no real change you have really learnt well from Dame Jennifer and Premier Brown – please show us you are not Frankenstein reincarnated from the ashes of those two PLP dissapointments. @411 You refer to the 2 Senators, actually 3, where she could implant some brains and skillset. What does she do? She appoints LaVerne Furbert! I would concur she has increased the IQ with Jonathan Smith, but it’s party hacks who generally get appointed, not someone who could actually be beneficial to Bermuda. Actually Worker, she (Paula Cox) got that job sometime well after 1998.
get a grip Ella. She is a highly qualified lawyer. Prior to Ace, she enjoyed a senior management job at then Bank of Bermuda. So do your homework before you imply something as ignorant as “she did not have a decent job” in response to Workers comments. I can count on 4 fingers, those members of the current cabinet those individuals who can command an equal or better job in the private sector if they chose to. She tops that list. And runs circles around all other members of the current cabinet, and her senate. When you all call for her resignation, think about what that would mean in terms of leadership? Who’s det…411..You sound like Laverne, have the tounge of Rolf and the baiting of Bill Zuill. I mean an area code is one thing………………………..
“Runs circles”, spot on. Running circles is her forte’. As for her “cabinet”, it’s bare. Plus, “her senate” correct me if I am wrong, she appoints them all? As for the “4 fingers”, I don’t know about you but I have “8″ and a big thumbs up to the people who keep the island going and support their families, friends and those in need. Yeah…..the average mary and joe….. Speaking of “four fingers”, RenMan on BIAW…what the hell was that all about. Reminds me of David Gibbons on drugs……. So, 441, you can count 4 members of cabinet ‘who can command an equal or better job in the private sector if they chose to’. You seem to think that’s a good point. However there are 13 members of cabinet. So by your admission 9 members of the cabinet are in positions that give them status and salaries that they would not achieve elsewhere. They are in positions that exceed what they would achieve if they were in the commercial (i.e. real) world. Not a surprise, frankly. Several of them have admitted they would have resigned on principle but didn’t because they didn’t want to lose their jobs. Not exactly a resounding endorsement of their ethics or competence. They’ve been bought and paid for. They can’t afford to lose their jobs because they are being paid more now than they imagined possible. They won’t reduce ministerial or MP salaries because they are on a gravy train. They are people who, in real life, would be regarded as very mediocre. As for Cox, she got a temporary honeymoon period because she replaced Brown, and people were desperate to see him go. But now that she has to deal with reality she will lose popularity too, in fact it is already happening. After 12 years of plp the country is lurching from one crisis to another. The consensus in my circle is that only two Ministers can command an equal or better job in the private sector if they chose to. The remainder will desperately hang on to the gravy train by their fingernails, knowing they cannot do better anywhere else. And, as others have pointed out, if 4 cabinet ministers could get good jobs in the private sector, that means that 9 of them couldn’t. Your words – you are the one that “can count of 4 fingers” the cabinet members that could get equal jobs in the private sector. The rest of them would go back to be nonentities. I think that means you lose the debate. SIMPLE AND PLAIN….SHES A BULL CRAPPER!!!! Thank The Heavens that I DO NOT VOTE!!!! Because The UBP PLP NLP BDA ABC EFG and all the other letters in the alphabet they all operating under the same umbrella!!! MONEY MONEY and MORE MONEY ALL FOR THEMSELVES!!! Premier Cog is about as self serving as you can get in this broadcast. It seems that absolutely everyone in Bermuda has to cut back except her and the other MPs (Ministerial Pirates). Be there Tuesday everyone. We want more than ‘a few frustrated whites’ this time. Bring out the Bruthahs an Sistahs. Beng de drom! Sri Paula, you had a chance to put us at some ease but you “blew it” big this time! All that air time to tell us what we already knew!!! And no pay cuts!!!!! Lady I think it’s time for you to step down. You may be a sweet lady but your not capable of running this country! On second thought DB will even be worse!!! Anyone see DB riding his pushbike when he’s supposed to be at work? Boy life is good!!! The thought of Derek Burgess being the leader of this country scares the hell out of me…….were are we headed with paula ,and Derek at the helm ? We get the government we deserve. It seems we do not deserve much. This Government is amateurish, inept and arrogant. I used to support them but WILL NEVER AGAIN. Yep, you got the Government you deserved. You voted for them the first time in 98. That was understandable. The UBP was in a shambles internally but still managed the Island in a fiscally responsible manner. You voted for them a second time despite them showing the trends of their ways. Hmmmm. Why? You voted for them a third time when it was very clear what they were all about & that they are incapable of doing nothing but organizing parties & playing the race card. Anywhere else, after the Brown takeover, there would have been riots but no, the sheeple continued to drink the koolaid & did what they were told. Obeyed without question. You made it happen. When will the blind PLP supporters decide that they have had enough & vote based on the ability of a party, whatever group of letters it slings together to call itself, instead of race & just because? I’ll bet you never imagined Bermuda could ever be in the situation it is now back in 98. The Premier is presented as a well read, sharp intellectual with superb professional pedigree after a career at Francis, Bank of Bermuda and ACE. Why is she ignoring Public Sentiment? Can someone in her Kitchen “Berkeleyite” Private Cabinet print some of the UK broadsheet editorials leading up to the crushing UK Labour Govt defeat – the only issues were Fat Cat Corporate pay & Bailouts and MP Expenses (and by extension their complete Salaries). The unjust salaries of PLP Govt will lead to their defeat, the worst offenders are the ones still cashing in on their other source of employment and still taking every cent of their MP package. Sad. Dame Lois was not drunk on money like her successors, sad. THE PLP GOT RID OF JENNIFER SMITH AND RENEE WEBBE YEARS AGO – NOW THEY ARE BACK TO EXACT REVENGE, VIA PROXY COG, THEIR STUDENT AND EXTREMELY APT PUPL. CURRENT CRISIS IS THAT SIMPLE, HOPEFULLY PLP MEMBERS WILL REVOLT SOON WE BERMUDIANS HAVE BEEN TOO COSY SINCE THOSE HISTORIC BELCO RIOTS. ‎5% isn’t anything on the money they make of bermuda; @ least 15% would be in order. if the salaries review comittee told them to jump of a cliff that is what they are going to do. history has proven that i day not enough, it must be consisent persistence just like in egypt. a full blown strike should be every & all day until they break just like mubarak had to do. The problem is what is bermuda going to do to break the plp besides waiting on paula cox calling an election. Your rage is understood however a strike, or worse, will not harm the PLP. It will harm those hurting the most with a lack of pay. Withholding taxes such as land tax will only cost us more in the end as Government expenses go on no matter what & the rate of that deficit will escallate, costing US more, not the PLP MPs. If you want to get your message across, PROTEST. Don’t protest outside of Parliament. The MPs don’t have to deal with you there. Protest, & protest in numbers & long hours outside of their homes. The message will get through very quickly. SACRIFICES MUST BE MADE FOR GOALS TO BE ACHIEVED!!!!!!! All in all, looks like Paula’s chat to the nation paid off. “This in my view would be an empty gesture, inappropriate for a Government or for any team facing the prospect of having to do more with less, and having to do it in half the time, under double the pressure,” said Premier Cox. Like what expect everybody else to do…. What makes me sad about this island is, when I was in Regiment 2 years ago and asking the young men there what ‘party’ they were for and they would reply back, “PLP” when I asked “Why?” they would respond “They’re the black party”. Sad…. Premier Cox is very mistrustful of her inner circle. She trusts no one and said so publicly. The deputy premier is upset at the reduction of his ministerial responsibilities. I see potential for a Jennifer Smith like coup de tait. Tread carefully Premier Cox. The lingering recession is causing even the most diehard PLP supporters to begin looking sideways at the PLP. The dramatic increase in gun violence and the government’s failure to get a handle on it will be a constant thorn in government’s side, especially leading up to a general election. Premier Cox’s failure to commit to reduce a bloated civil service impacted her credibility. Private enterprise is reducing staff via redundancies and layoffs. Government should do likewise. The failure of Premier Cox to offer a symbolic MP salary pay cut will be viewed as arrogant and out of touch by members of the unions who are the PLP’s base. Worse case scenario? There will be labor industrial action this summer further compounding Premier Cox’s ability to lead. The “freebie” era of the Brown era has contributed to lost revenues for government and abuse of the system by Bermudians to avoid paying certain fees has compounded the situation. For example, the 25 yr old who puts their car in “grandma’s name” in ordee to avoid license fees etc. The PLP’s aura of incompetence, being out of touch, arrogant, unethical, shameless self promoters and carrying too much dead weight will come more into focus as months go by. Bermuda is at a “tipping point” and if we as a nation do not get this right, our descent into third world status will be swift and irrevocable. Although not really related to the subject of this thread I just want to say that the old trick of registering ones car in ‘granma’s’ house , or anywhere else for that matter , isn’t to avoid paying licensing fees , it’s because there’s already a car registered at where they live and they don’t want to move out and have to start paying rent. When someone buys a car they can’t avoid paying the license fee , unless they don’t plan on driving it. And btw , we’re well past ‘the tipping point’ … a LONG way past . and which one actually applies to her performance to date? Initially voters believed that you had a strategy by appointing Ms Furbert & Mr Shakir, now it is clear that those moves along with the other shuffles like Ms Azar etc are just your way of rewarding loyalists who have helped you. It’s time for you to do something different, embrace the Youth, to take over the reins of that Party. Your alternative is to be swept away when the inevitable wind of change arrives. Don’t fool yourself into thinking you are the only Black Bermudan bright enough to be Minister of Finance or Premier. Stop hiding behind the pagentry of office and connect with the next generation, ignore them at your peril. Especially when it comes to the Economy, the Premier loves to keep referring to the “last 6 months” as if the PLP is a new Govenment. She has been the Minister of Finance for 7 years during which time Bermuda’s debt has risen to alarming heights and the local economy has dropped to alarming depths. What seems to be overlooked is that in these 7 years Bermuda’s economic power houses, International Business, Tourism (and the bank holding much of the debt and power – HSBC) are not owned by Bermudians. Yet the PLP Government is using locally popular policy and laws to appease its supporters, overseen by a Cabinet and MP’s who have virtually no business experience or skills. Retail sales are down every month. A large part of that is due to the shift in employment. Gone are the well paid expat families who spent much of the income in Bemuda. They have been replaced by lower income expats who do not spend money, whether it be on cars, restaurants, clothes or rent, but save and send the money back home. What Bermuda is seeing is the new norm for retail. In the meantime over the same 7 years, Public Sector employment has balooned to where there are probably around 1,000 too many people employed. That excess needs to be removed before the gap between revenue and expenditure starts to get realligned. That is unlikely to happen which is why Bermuda’s economy will continue to go downhill. Thank you ! Someone else who ‘gets it’ …. I would speculate though , that our ‘public sector’ should have , in fact , been trimmed , not expanded after 1998 . The proportions of it for a community of our size is mind boggling . Unfortunately it’s a Gov’t created ‘middle class’ and they’d never do anything to loose votes. It should be reduced by about 3000 to reflect the size of Bda. The future does not look too rosy . Why exactly do we want the ministers to take a cut? Am I missing something? It feels unnecessary and false. I know that times are difficult but I agree with the decision to not take wage cuts. Nonsense. ‘PoliTRICKS’ is politricks and it’s not the MPs who are full of bull*&^% – ‘POLITRICKS’ is bull*&%* and t’hell if I will allow myself to seek hope and confidence in any of it. UBP, PLP, doesn’t matter, the concept of it all is very much similar to using reverse psycology. As long as ‘politricks’ is alive and kicking, especially in countries where there is no unity, deception and corruption will always have the upper hand. We will never find hope and confidence in these realms people…snap out of it and realize that we are the government. This country is flooded with educated people…why waste our intelligence and dependability on 13 people SOULY? If we are not pleased with what gets thrown in our faces, come together, discuss it and make a stance and I do not mean make a stance through the BIU or social networks either. We don’t even need the representative of our parishes to sit in on community meetings either…REMEMBER they are not the ONLY highly educated people in this country OR in our neighborhoods for that matter. Hope and confidence resides in all of us and I look forward to the day when we can come together respectfully, share and build upon our own ideas and solutions to re-create a better Bermuda….this ‘magic show’ has been redundant since ’19o’long’. My vote is for NPCP – Nine Parish Community Parties. We seek peace and economic stability,well,if WE build it…it will come. Why would a pay cut have to be symbolic? Why not take the pay cut and plow said funds back into the crumbling economy? It is time we get rid of cox and the rst of this FERAL party..ppl get up and see reality.THEY HAVE SOAKED US DRY AND LEAV BERMUDA LIKE A SLUM..just check hamilton..a ghost town,horseshoe beach..smells like a stinking pot of crap,they have feral youths imprison the rest of us,and they are the only ones can take a plane 24/7 and tour the entire world with OUR MONEY! !THIS IS NOT BLACKNESS THIS IS INEPTNESS,RECKLECKNESS At our door..and it is costing each one of us obscene moneies to keep them!! !